We depend on the internet more than anything now. Whether it is our job or we are just at our home, we are somehow being influenced by the internet. This is why it is extremely important to have a proper internet connection with a good speed all the time to easily stay in the circle without frustrating yourself. Unfortunately, internet speed may not always stay the same, there can be many reasons why you may suddenly start receiving slower internet speed. If you are currently experiencing slower internet speed and can’t seem to put your finger on the problem, then don’t worry we are here to help. Your actual per mbps internet speed is not the only factor that decides the speed of the internet. Your PC, router/modem, channels, servers and software, all need to work properly to achieve high internet speed. In this tutorial, we will try to list down all the issues that may be slowing down your internet speed and will also show you how to fix them. There are many free services online that will test the current internet speed you are receiving. The results may be different each time you run a test, so it is better to run multiple tests and take out an average out of them. When you know the speed, compare it with the package you are paying for and see if it matches. If you are receiving the speed according to your internet package, then there may be other factors that are slowing down your internet. Otherwise, you might have to tinker with your router/modem to get the internet speed you deserve. We mentioned solutions for both situations below, keep reading. Sometimes a simple router/modem restart is more than enough to get you up and running at maximum Internet speed. Turn off your router/modem using the power button located on the device. 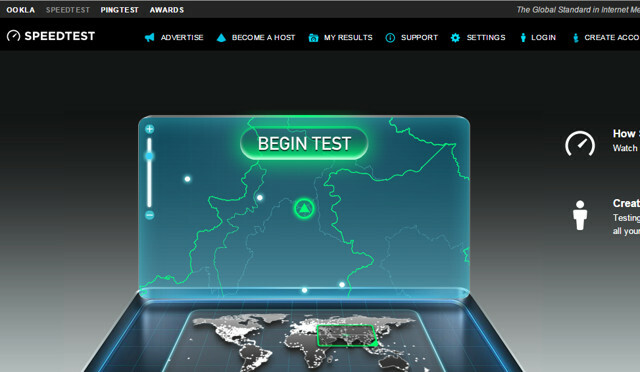 Wait for 1 minute and restart it again and see if you get some increase in the internet speed. Weak signals can also lead to slower internet speed. You should place your router closer to your PC/Internet enabled device and also put it on a higher ground. There should be no obstacles between the device and the router. This can further help in increasing the Internet speed. Other electronic appliances may also mess with the signals sent by your router, such as Microwave, bluetooth or cordless phone. The free way to stop these appliances from interfering is to move away from them. On the other hand, you can also buy a dual band router that limits the interference of these appliances. 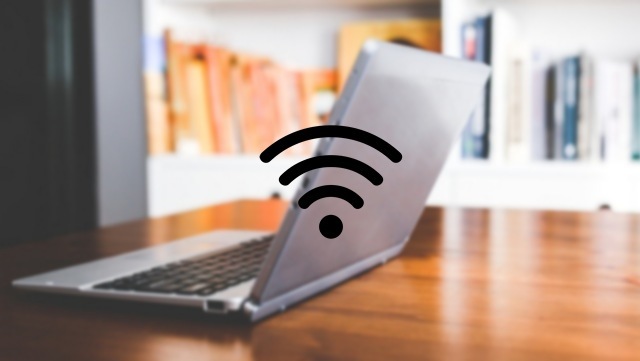 To get the best results, it is better to ditch wireless connection and use a ethernet cable to directly connect your PC with the modem. Yes, it might have some limitations like, lack of device compatibility or connection via cable, but it also guarantees direct signal transmission. Wireless routers work on different channels and all routers in your neighborhood are connected to specified channels. 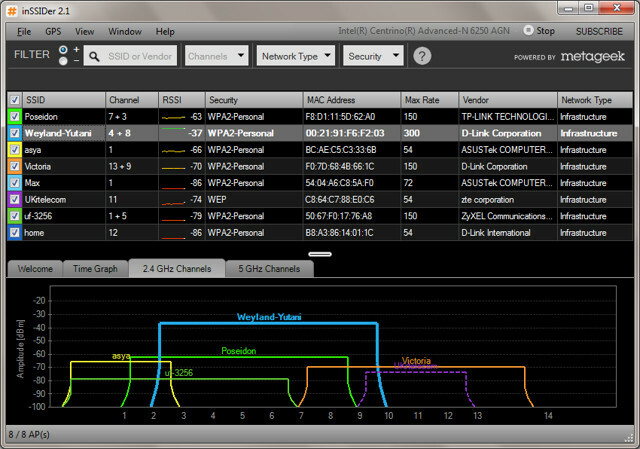 If your router is operating on a crowded channel, then the signals of others may interfere with your Wi-Fi signals. You need to be on a channel with least interference, and for this purpose you can use a dedicated app that will show all the channels and traffic to choose the one with least interference. You can use the app inSSIDer for Windows or KisMac for Mac. If you have more than one devices connected to the network, then they are also sharing the bandwidth. 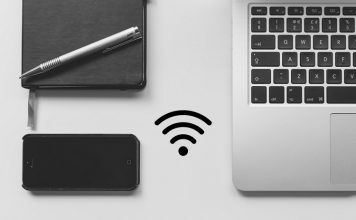 If it is really important to get full speed on a single device, then you should disconnect all other devices from your wireless network. This includes your smartphone/tablet, gaming console or another PC. 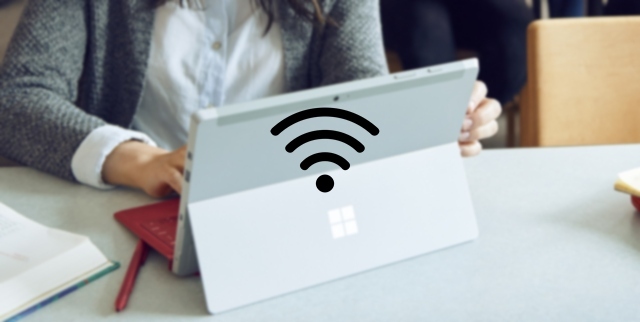 If your smartphone is sharing your PC’s WiFi then you must disconnect your phone so that your PC can achieve 100% bandwidth of your Internet connection. Most of us have ticked the option of automatically updating apps over WiFi only, and when our smartphone connects to a WiFi network, apps start to update without any prior notification which takes away huge amount of bandwidth leaving PC’s internet connection very slow. If you can’t disconnect all the devices or need more bandwidth for a specific task, then you can also priorities content. Many things like online gaming, video streaming, video chats or torrent files hog a lot of bandwidth, so it is better to limit their bandwidth use and transfer it to something important. 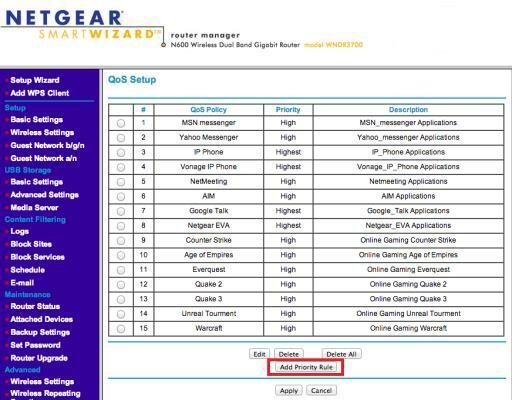 For this purpose QoS (Quality of Service) is a feature available in almost all router settings. 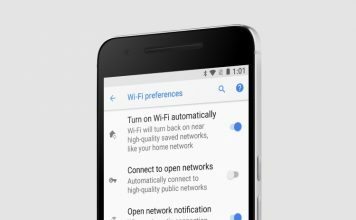 It will let you limit bandwidth for specific apps by changing priority. Just access your router settings using the router IP address (similar to 192.168.1.1), and you should find the option there. Disable auto updates in all of the apps that you are using on your PC. They will start updating anytime and will slow down your internet speed. This also includes Windows itself, you can manually download the update any other time when you are not using the internet. It will be stupid to not have password on your home Wi-Fi, as any one can steal your bandwidth or even compromise your privacy. So if your Wi-Fi connection is not protected, protect it immediately. Furthermore, even WPA or WPA 2 protected connections can break, so it is better to use a really strong password and take proper security measures. Try to change your Wi-Fi password every now and then just to be safe. In fact, you should change your password right now to see if it boosts your Internet speed. There is a chance you might be receiving maximum internet speed, but when you browse the web it still loads slow. This may be because your DNS server is too crowded and making it hard for you to get your piece of pie. 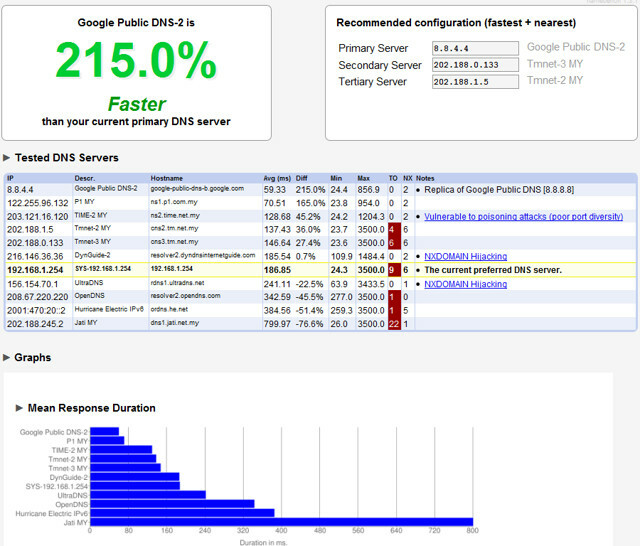 Fortunately, there are many companies that offer free DNS service, Google being one of them. However, it doesn’t mean that other DNS servers may work perfect for you, it depends on your location. Good thing is that there is an app for that, which will search for the best DNS server for your connection and recommend it to you. The name of the app is namebench, it is a free open-source app by Google. It has a simple interface, so finding the right server shouldn’t be a problem for you. It may be the case that your internet connection is not the troublemaker here, instead your browser is the culprit. Browser can also slow down or too much data makes it hard for the browser to process a query. This may seem like your internet is slow and can’t seem to load pages fast. 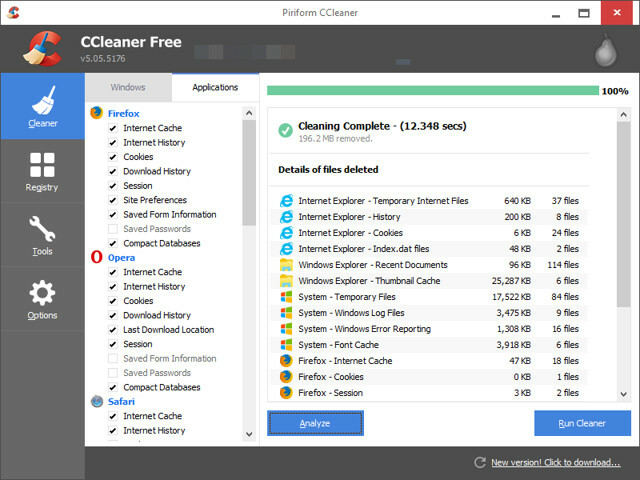 You need to clean up your browser, and for this purpose Ccleaner is the perfect tool. It will clean your PC of all temporary files or data that is now useless and only making your browser slow. It is simple to use and a beginner won’t even have to change any settings and achieve best results. However, simple automatic cleanup is not enough. You also need to get rid of all unnecessary toolbars or just get rid of them all. Toolbars slow down your browser and also eat up bandwidth through ads, further decreasing internet speed. Furthermore, you should also disable unrequired extensions, as they also slow down the browser. You can also change your browser to see if you find a better experience. Google Chrome is very heavy and eats up a lot of RAM, Firefox and Opera might be lighter browsers alternatives or you might want to check our list of top 5 web browsers. When you download a torrent file, it will automatically start seeding the file to help other community members. The data will be uploaded, which means your bandwidth will be used leading to slower internet speed. The torrent client will stop seeding as soon as the file is removed from the client or the client is properly closed (including all processes). If you download torrents frequently, then check if there are any torrent files that are seeding and remove them from the list. If you have followed all the tips and tricks above and still receive less per Mbps speed, then it is better to change your ISP (Internet Service Provider. Some ISPs can’t keep up with their promise of maximum internet speed. This can happen if the ISP doesn’t have proper coverage in your specific area (especially, if you don’t have a broadband connection). However, that doesn’t mean other ISPs won’t be covering your area as well. Just call other popular ISPs in your area and ask them if they can provide maximum internet speed in your area. After that, just select the ISP that provides packages according to your needs and also covers your area. Don’t fall prey to Internet speed booster apps / software that promises to increase your Internet speed. Truth is that no app or software can increase the net speed because it is not in their hands. 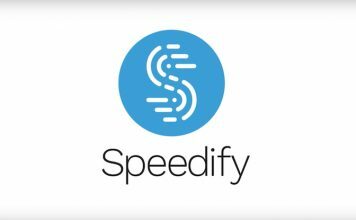 Some of the apps can optimise your system’s settings that can marginally improve the Internet speed but that’s not going to be very significant so, it is better to stay away from such tools because some of them can be malicious as well. Hope this article helps you achieve increased Internet speed. If you know any other tip that can help increase the speed of Internet, feel free to share in comments section.